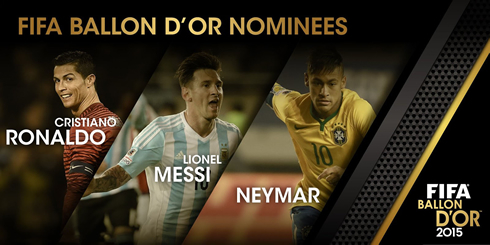 FIFA has announced this Monday that the final 3 candidates to win the upcoming 2015 Ballon d'Or are Cristiano Ronaldo, Lionel Messi and Neymar. The Argentinian is widely regarded as favorite, in a race where Ronaldo and Neymar will probably have to settle with a fight for the second place. 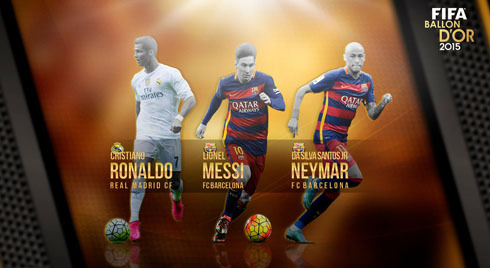 Without much surprise, FIFA revealed who were the 3 football players who gathered the most votes for next January's award ceremony for the FIFA Ballon d'Or 2015. 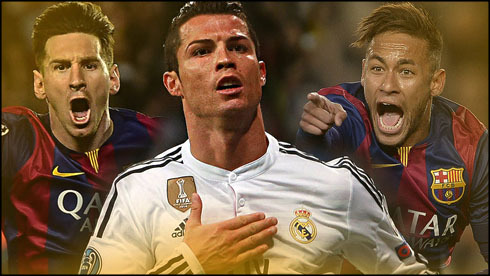 Cristiano Ronaldo from Real Madrid, together with Lionel Messi and Neymar Jr from FC Barcelona, are the final nominees for this highly renowned award which will be delivered to the winner on a ceremony that will be held in Zurich at the Kongresshaus, on the 11th of January of 2016. The Portuguese star is unfortunately running from behind in the bookies's odd, mostly because he couldn't win any trophies with Real Madrid in a year where Barça won it all. The Portuguese star, who will turn 31-years old next February, is well aware that it's going to be extremely difficult to keep performing at his best level in the years to come. Is this the last time we see Ronaldo making it to a FIFA Ballon d'Or podium or is still more to come from the former Manchester United legend? Ronaldo's odds to win the FIFA Ballon d'Or 2015 are currently set at a 10x factor. The Argentinian superstar, who won the first 3 editions of the FIFA Ballon d'Or (2010, 2011 and 2012), had already been on the top of the world for the first time a year before that special hat-trick, after taking home the 2009 FIFA World Player award. If he wins it again next January 11, he'll cement his footballer legacy by becoming the first player ever to have been considered the best in the world in 5 different occasions. 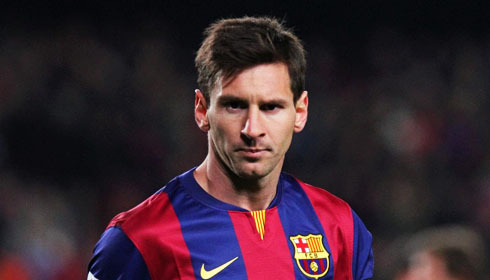 Last season, Messi led Barcelona to glory in famous "triplete", winning La Liga, the Copa del Rey and the UEFA Champions League. He scored 58 goals in 57 appearances in the course of that campaign and is currently on the 48-goal mark in the 2015 calendar year, just like Ronaldo. Bookies rate him as the strongest favorite to win the FIFA Ballon d'Or 2015, as he's currently paying 1.10 to be crowned the best player in the World once again. 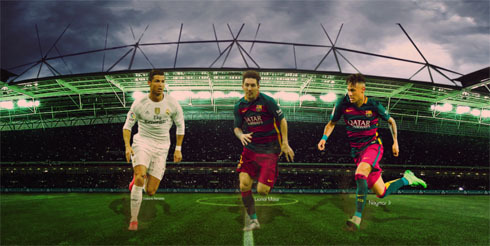 La Liga, Copa del Rey, UEFA Champions League, UEFA Super Cup. 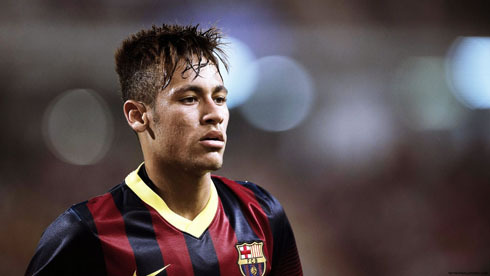 It was last season that the Brazilian seem to have finally started living up to the expectations that people have put on him ever since he moved to Europe and joined Barcelona in the summer of 2013. Together with Messi and Luis Suárez, Neymar has been a vital piece in Barcelona's attacking engine last season and he seems to have gotten even better this year. In 2014-15, the Brazilian ace scored a lot less goals than his the other two contenders for the FIFA Ballon d'Or (39 goals in 51 appearances), but in the course of the current campaign he's leading this particular race next to Ronaldo and has already found the back of the net 16 times in only 17 games played so far (Messi has 9 goals in 13 fixtures). 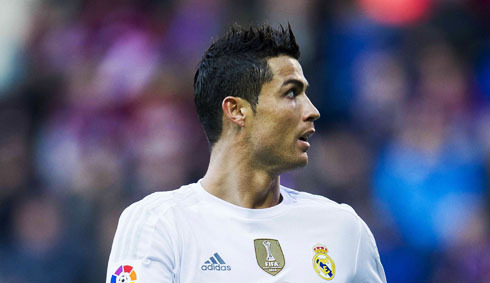 Cristiano Ronaldo next game will be for Real Madrid on the 2nd of December of 2015, against Cadiz. You can watch Juventus live stream, Cadiz vs Real Madrid, Barcelona vs Villanovense, Manchester City vs Hull City, Middlesbrough vs Everton, and Stoke City vs Sheffield Wednesday, all matches provided from our soccer live game pages.